Know the one Instagram hashtag that has entirely seized the beauty industry becoming a real crowd-puller? 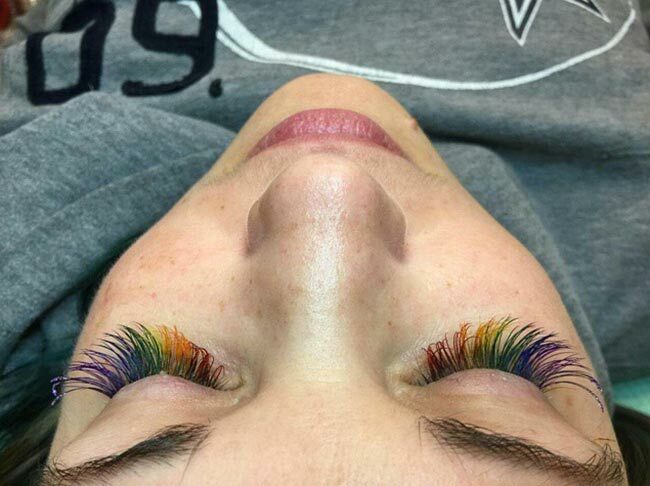 There is no hiatus for the hashtag #rainbowlashes at this juncture that quite logically comes to linger with the pleasure of the recently erupted rainbow trend. No sooner had the craze for the rainbow hair colors, eyeshadow, highlighter and rainbow eyebrows calmed down a little bit than the trend of rainbow lashes came to the arena as if to declare all and sundry that there is no better way to hold back tears than to bring a real rainbow onto your lashes. This crazy beauty trend can be achieved with false eyelashes or eyelash extensions or else on your natural lashes, applying colored mascara, in case you are lucky enough to be born with those much-cherished-about long eyelashes. 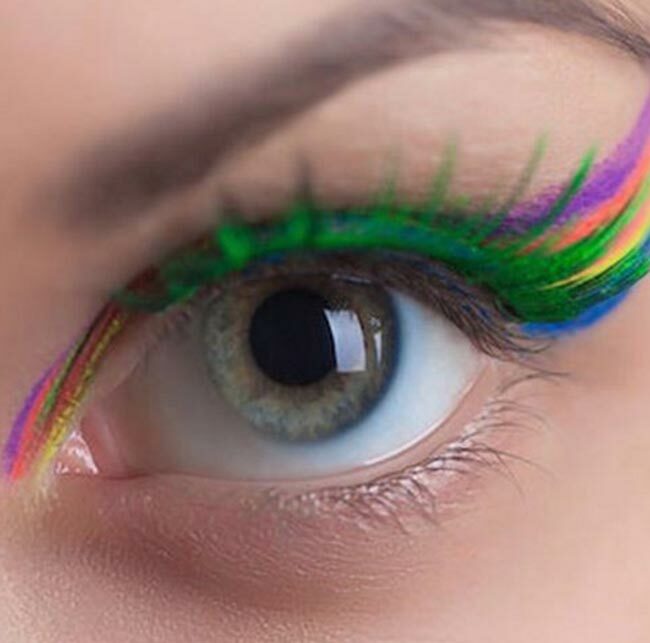 If you aim at knocking dead people around at a single neon party, false eyelashes will come in handy ” either already rainbow-ready or clean to be handled by yourself. 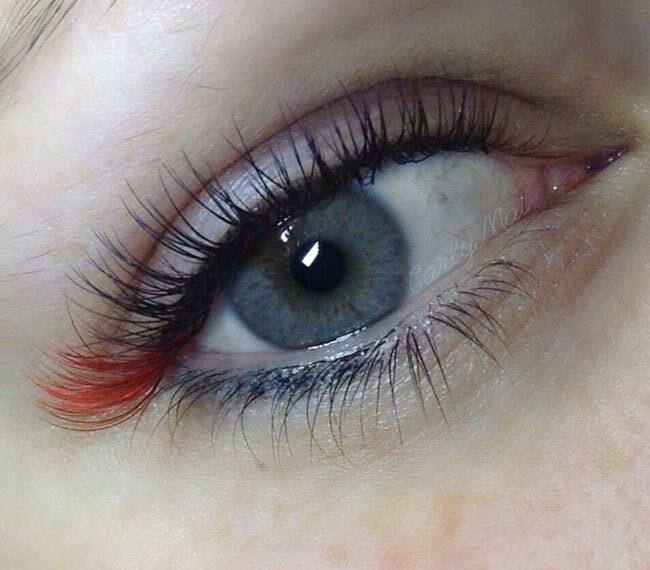 As for a more long-lasting effect, just rush to your beauty technician for eyelash extension! 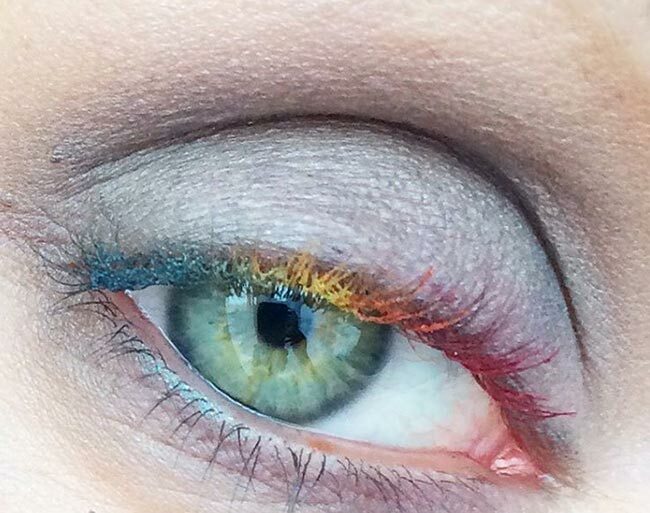 All in all, there are so many ways to bring a pop of rainbow colors onto your lashes. Opt for colored mascara or reach out for help to your powder or maybe creamy eyeshadow palette, mix and match any pastel, jewel or warm shades to your liking and go more and more rainbow. 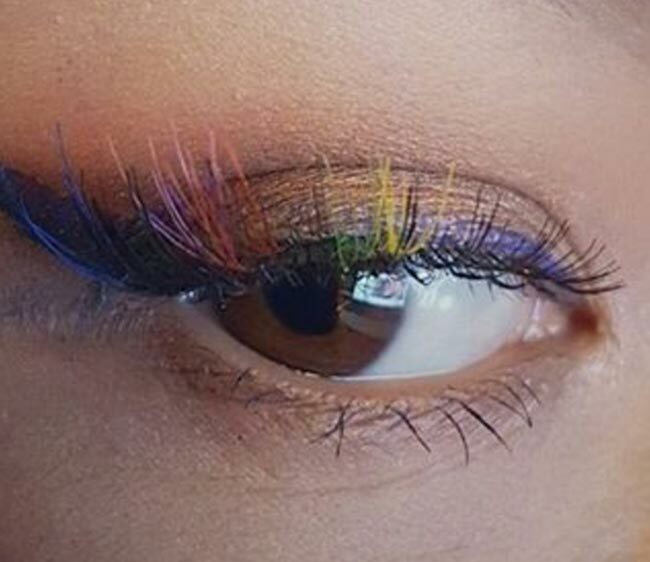 And if you need some rainbow lashes inspiration, look to these 6 ways to wear the rainbow lashes beauty trend that we have cherry-picked from Instagram rainbow lovers. Live the most neonized beauty period in your life by fully coating your false eyelashes with an electric green color, since by bringing the rainbow festival onto your eyelids you can make the illusion of two layered lashes. Start from bringing the longest false eyelashes to your eyes, then buckle down to making the lashes as authentic jewelry pieces. Want to know how? Bunch up all the jewel-toned shades together ” blue, purple, red, green, orange and yellow ” and disperse them on your lashes for your second to none rainbow beauty moments. At times the name rainbow does not speak volumes, namely not every time can you convey happiness and fun around with your rainbow eyelashes. If feeling blue, go to gloomy rainbow lashes with grey, muted purple, brown and black alternation, while a swipe of electric blue will brighten them up a little bit. Just forgo all the fake eyelashes and lash extension techniques and embrace your natural lashes to feel the whole pulchritude of the rainbow beauty trend. No matter if the short lashes are your pain point; any warm-colored eyeshadow palette will work perfectly to make them your strong point. If you don’t have your heart set on those full rainbow lashes, yet you have a yen to bring some color unto your peepers, go more elegant and paint the corner flick of your lashes signature red, thus keeping the rest of lashes blackest black. 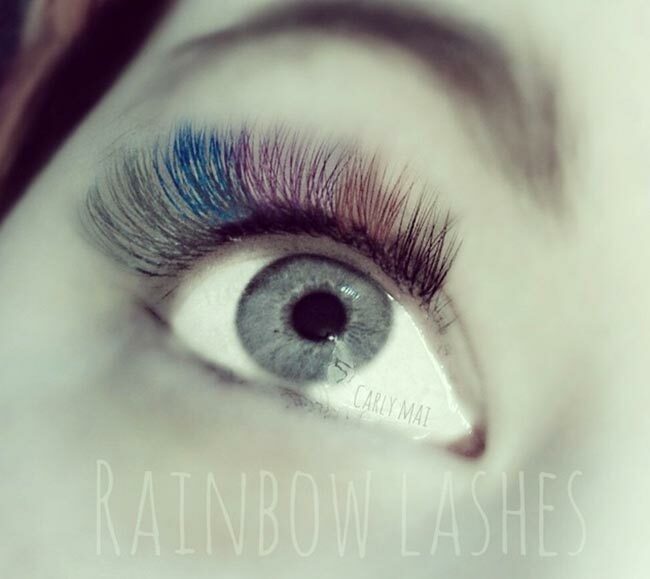 Want to go sharper and sharper with your rainbow lashes? The best way is to make them individual, curled to the highest point, then to coat them with any shade to your liking.